ATLANTA, March 12, 2019 /PRNewswire/ -- InComm, a leading payments technology company, today announced that it has acquiredLinq3 Technologies.Linq3 designs, builds and markets state-of-the-art products and solutions for traditional and digital lottery gameplay. Atlanta-based Linq3 was founded in 2007 with the vision to transform the lottery industry with smart systems integrations, intuitive technologies, and innovative consumer products. The company has since launched several revolutionary lottery products that leverage consumer interaction at retailers' point of sales systems. "By incorporating Linq3's pioneering lottery products and solutions with our expansive national retail and payments network, we collectively will be able to deliver new product solutions to create experiences that will engage the consumer – right at the retailer's point of sale," said Brooks Smith, InComm founder and CEO. "We are excited to add Linq3's innovative capabilities and proprietary technology to our portfolio of products and services. This transaction brings us an experienced management team with a great deal of industry knowledge that can be leveraged to transform and grow lottery business across North America." Tom Spiegel, CEO of Linq3 said, "Today, state lotteries face many challenges tied to retailer expansion, new player acquisition, and product innovation in an increasingly digital world. Through InComm's acquisition of Linq3, state lotteries will now have the ability to reach more players through new and current retailers, retailers can realize more revenue by driving new consumer traffic to their locations, and lottery players will benefit from easy, simple and new ways to purchase and play lottery products." 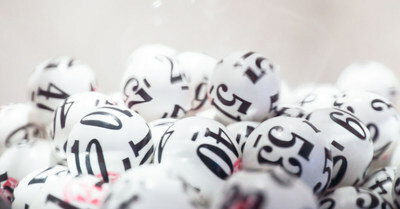 Today's busy consumers often feel they don't have time to purchase and play lottery games. That's why Linq3 provides faster, more convenient and secure ways to play and win on-the-go. Linq3 is a U.S based innovation and technology company focused on transforming the Lottery industry. Headquartered in Atlanta, GA, Linq3 designs, builds and markets state-of-the-art products and solutions for traditional and digital lottery gameplay.